Traffic along the PIE, near the CTE exit on 22 September 2017. 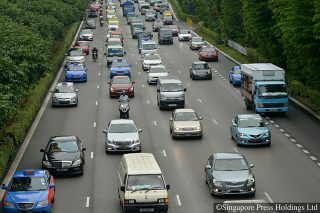 COE prices ended mixed in the latest tender yesterday as demand for new vehicles remained subdued. The COE price for cars up to 1600cc and 130bhp slipped by 10.2 percent to close at a three-month low of $25,556. The COE price for cars above 1600cc or 130bhp was practically unchanged, closing just $1 higher at $31,302. The premium for Open COE, which can be used for any vehicle type except motorcycles, but ends up almost exclusively for cars, finished 1.1 percent higher at $32,900. 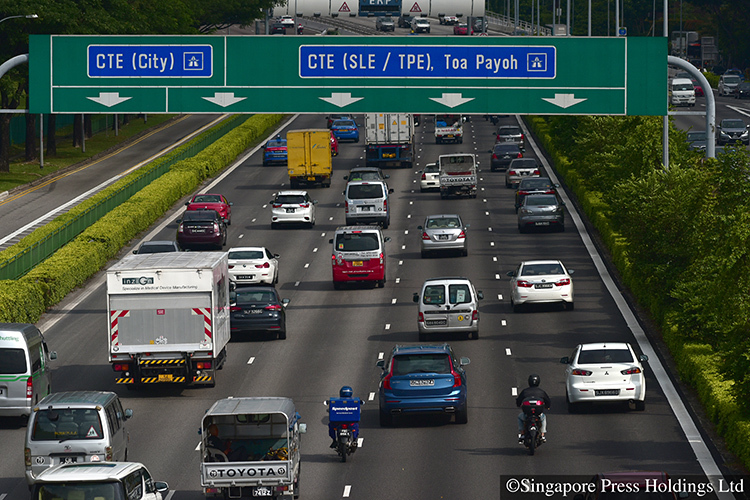 The commercial vehicle COE price closed 3.5 percent higher at $29,501. Motorcycle premium fell by 3.8 percent to end at $3951 – its lowest since June 2014. Motor traders said buying sentiment had remained weak in light of an uncertain economic outlook. Mr Lim said buyers seem to be cautious, perhaps in light of a weak economic outlook. He added that the next three-month COE quota due soon is likely to show an increase in supply, thereby suppressing premiums further. At the same time, the generally low premiums may encourage those who bought cars with high COE prices three or four years ago to trade in their vehicles for a new one. 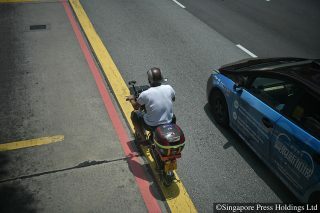 Meanwhile, observers reckon that motorcycle COE speculation has eased on the back of recent public attention. COE prices for two-wheelers are now at their lowest in over four years. 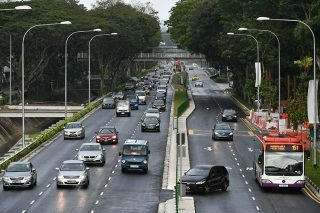 How will my car’s road tax and insurance be affected if I renew its COE?